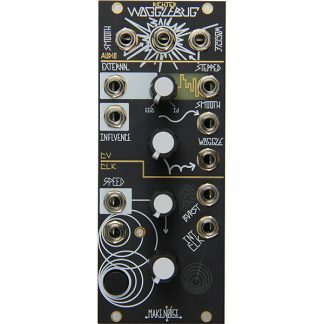 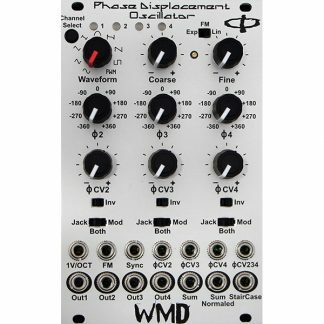 The WMD/SSF SPECTRUM is a precision, saw-core analog VCO with eight possible waveforms, via six simultaneous outputs. 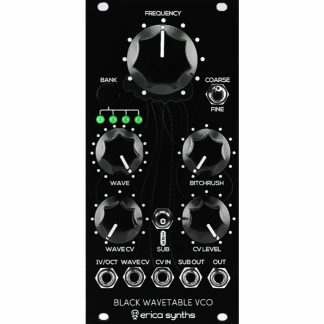 It employs an eight-octave switch, offers an LFO mode and has an FM section which provides mode switching and level attenuation. 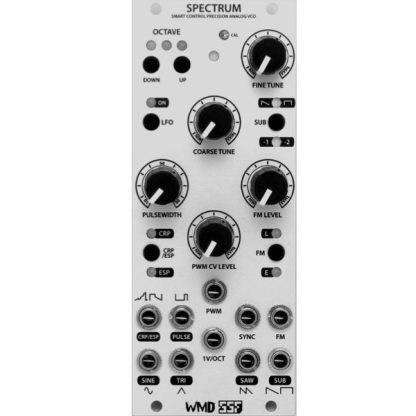 In addition to the standard waveforms – sine, pulse, triangle and saw – SPECTRUM features two selectable saw/ pulse hybrid waveforms, and two selectable sub-octave waveforms with variable range. Additional features include pulse width modulation with CV and attenuation, hard sync and panel accessible 1V/OCT calibration.